St Malo, a walled city in Normandy. The sense of desolation at Aigues-Mortes in the Camargue. And the wild horses, pink flamingos and black bulls of the surrounding delta. Arles, for its Roman Arena and links to Vincent van Gogh. Colmar, for all the pretty flowers and all the vins d'Alsace. 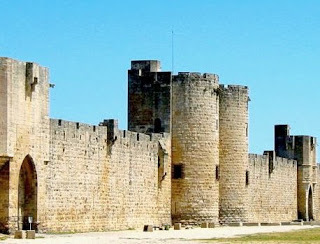 The Catalan area of France, Languedoc-Roussillon, for its climate, food, people and the ancient towns of Perpignan, Sète, Béziers, Nîmes and Carcassone. L'Ardèche. The river valley cuts through limestone cliffs making it one of the most scenic areas of France with superb kayaking. 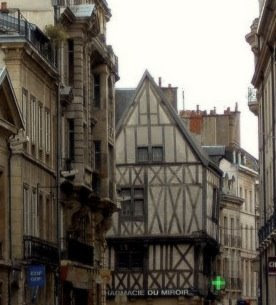 Dijon, heart of Burgundy... and the Burgundian way of life. its chateaux and its wines. I've got so many memories of France too. Loved Brittany and Saint Malo! How adorable is Paris 1992!? I love this post! Those are some of my favorite spots too - Carnac, Colmar, the Camargue and Burgundy!